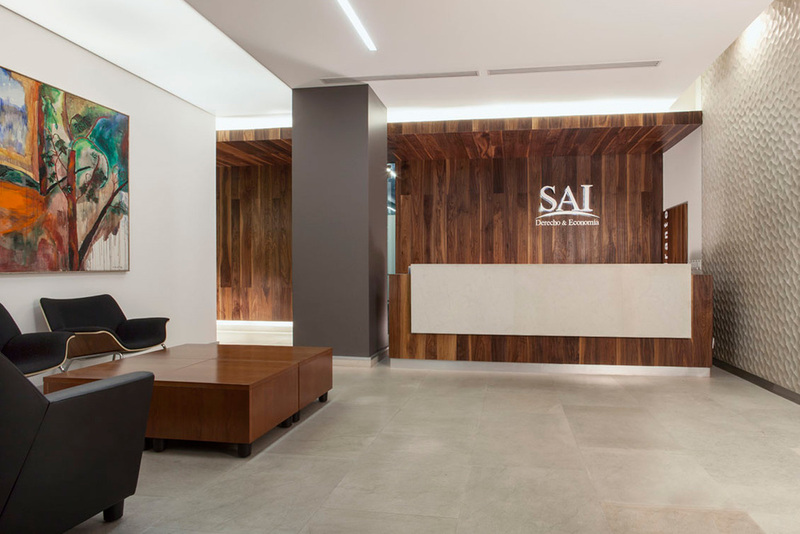 MEXICO CITY, MEXICO SAI practices economic and investment banking law. This expansion project for their office includes a private area for 12 partners and 14 associates as well as an open area for other employees. The dining room fits 20 people and features a modern design in contrast to the woodtones of the work spaces so that employees feel they are in a different place during their leisure time. Public areas consist of reception, meeting rooms and a monumental wooden walkway connecting open spaces and an additional private area. The meeting rooms feature advanced technology including electronic whiteboards as well as flat screens for teleconferences. KMD merged classic and modern design using finishes of neutrals, gray tones and natural wood with blue accents.